In the meantime, I was up on the BELLA BLVD blog on Tuesday, as well as today. I honestly love to be given a palette of pigment and then told "go with it!" 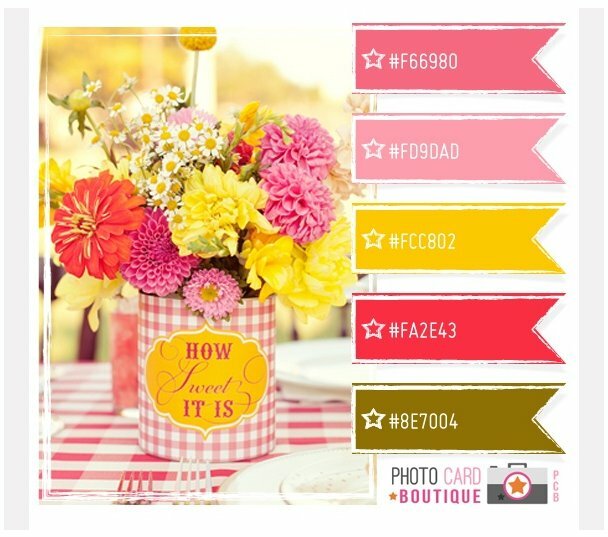 So this month's inspiration board was a lot of fun to work with...love those colors! I added a splash of color to the chevron paper by applying some Designer Tape over a portion of it. 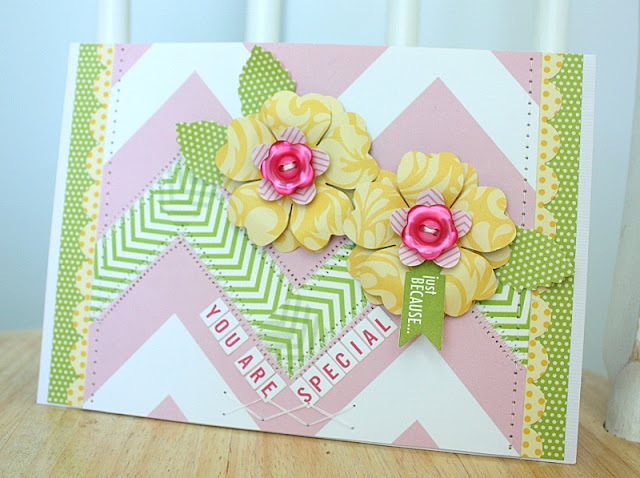 For this card I wanted to show how the patterned papers can be turned into beautiful blossoms. Each flower was given two layers, along with a smaller flower and button in the center. Using a stylus and molding mat, you can give shape to the petals and create a true 3-D effect. 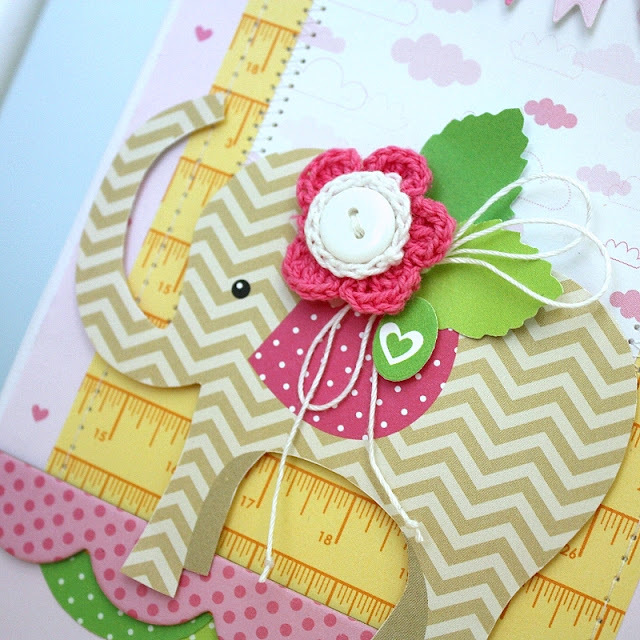 This sweet elephant Cute Cut was a must-have! I added her to the card-front with foam dots and then embellished. The small green circles at the bottom were cut from one of the Baby Boy papers. For this week's "Cards on Thursdays" we were asked to create 'shaped' cards. 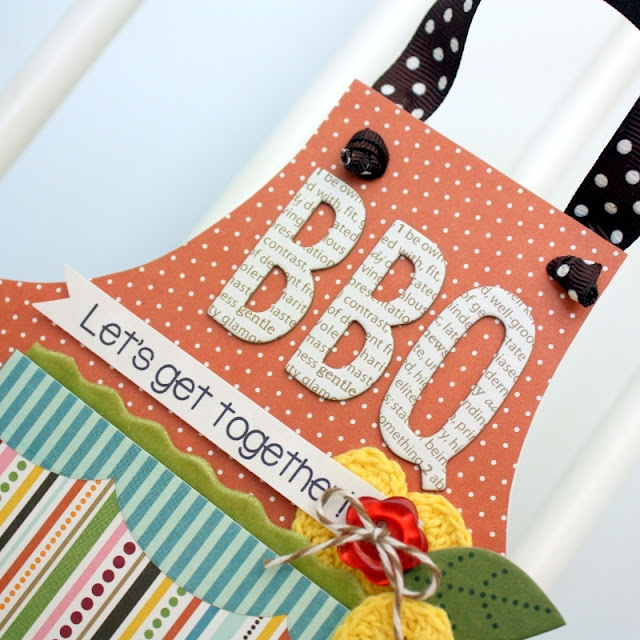 I've had this apron template for quite a long time now, so I'm not sure who to reference. I machine stitched around the sides and bottom, leaving the top open. You can use a strip of paper or ribbon for the top. to the card front. I love that the bit of feather creates a plume similar to a burst of fireworks! Fabulous!!! I love what you've done with the patterned papers and I love the stitching! TFS!